cardPresso badge software is available for both Windows and Mac/OS X operating systems. The software provides professional ID-Card design and print options with a user friendly interface. 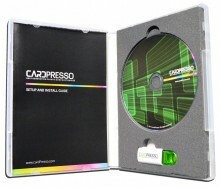 cardPresso XS Edition features include: QR codes, .XLS, .CSV and .TXT database connection, Database View and Link Image to DB field.